You are buying VetriScience Vetri Same 90mg Tablets For Cats & Dogs 30ct, model #0900331030 at ADW Diabetes, we offer a wide range of pet dietary supplements geared towards helping your pet achieve optimum health. We offer these supplements in both single and discounted bulk packs with the goal of helping you save even more. Shop with ADW Diabetes for all of your pet health supplement needs. 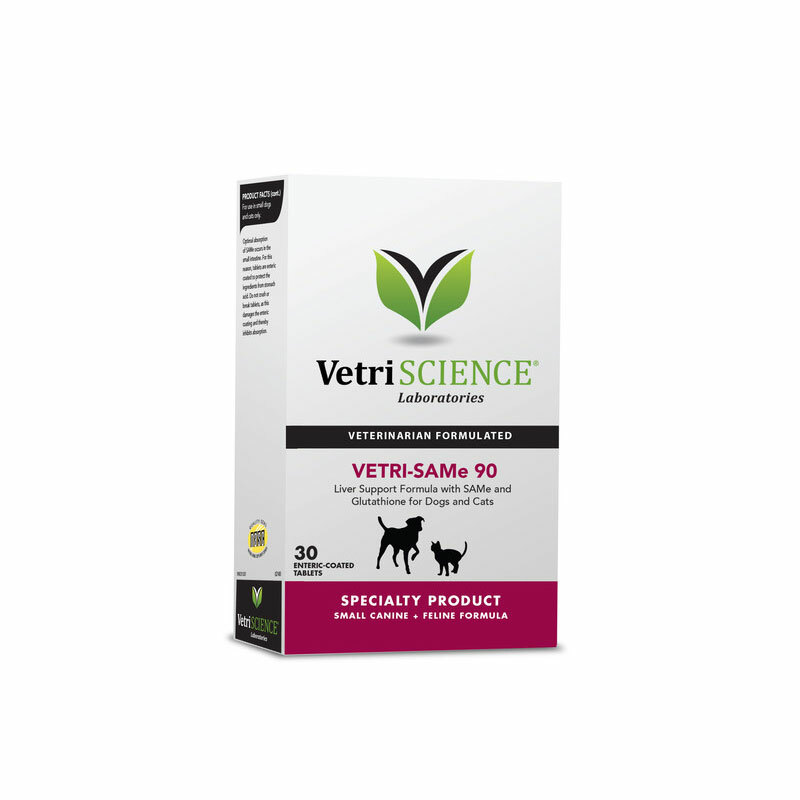 The VetriScience Vetri Same 90mg Tablets For Cats & Dogs 30ct is a synergistic blend of SAMe with Glutathione to support liver function. Tablets are enteric coated to protect the ingredients from stomach acid, as optimal absorption of SAMe occurs in the small intestine. For use in dogs and cats only. Do not remove tablets from blister pack until used. Ingredients: crospovidone, magnesium stearate, microcrystalline cellulose, silicon dioxide, stearic acid, Enteric Coating Ingredients Include: glycerol triacetate, hydroxypropyl methylcellulose phthalate, red #40, titanium dioxide, yellow #10.